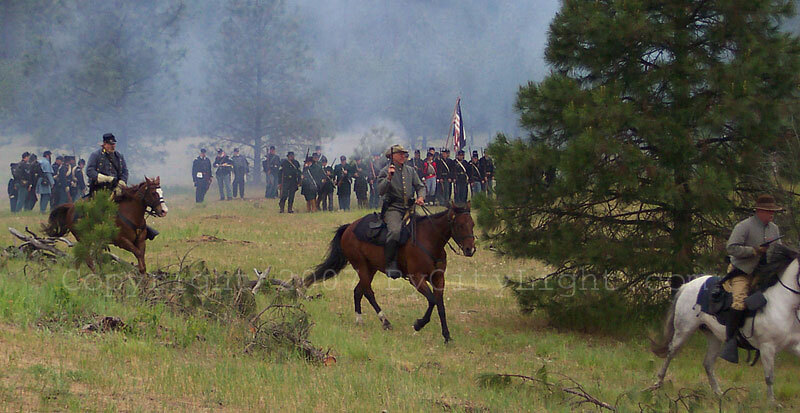 Courtesy: mackilvane@deviantart.com There weren't many battles fought on the west side of the Rocky Mountains during the American Civil War, but that doesn't stop hundreds of enthusiastic participants in creating the Battle of Spokane Falls. 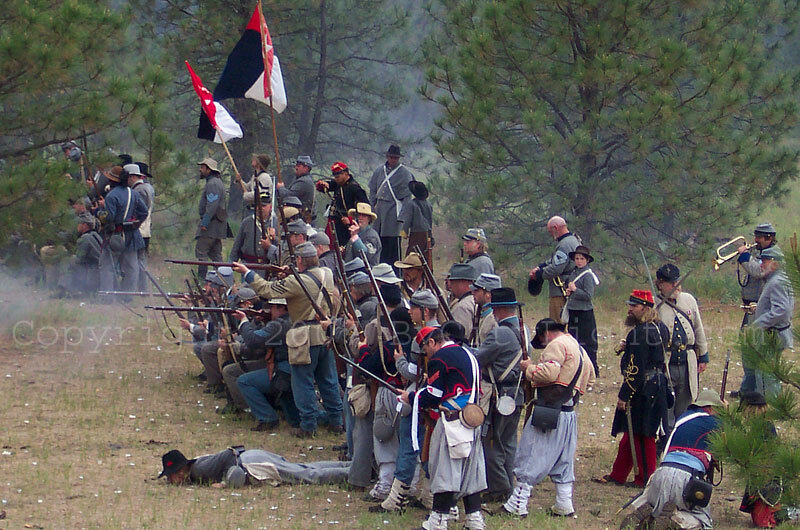 Every Memorial Day, hundreds of Reenactors and even more spectators flock to Riverside State park for the amazing sights and sounds of battle. Be it the booming cannon, the disturbing (yet informative) medical demonstrations, the spectacular cavalry show or the massive battle at the end, there is something for everyone to see at this event. How much action and information can they pack in over the 3 day weekend? The answer is a lot! For Saturday and Sunday, a morning and an afternoon battle is held. These consist of impressive drill and tactical maneuvers, artillery pyrotechnics and charging soldiers, bent on destruction of the enemy. These battles are not chaotic messes that the real things often degenerate into, nor are they pre-planned to death in every detail. You never know which side will win, which adds to the suspense and excitement that the thundering cannon and cracking of musket fire created. Courtesy: mackilvane@deviantart.com Just who are these reeanactors? Most are just normal everyday citizens with a passion for history and knowledge. The typical reeanactor can share a host of information to the curious spectator. Most have their whole character planned down to incredible detail, usually coming from a past family member or another real life soldier. And don't think that reenacting is limited to men in uniform. Women are quite well represented at these events, more than eager to share their part in history. Most Americans are ignorant of our nation's history, but this doesn't have to be the case for you. 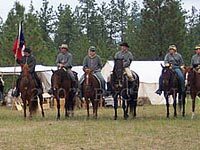 Come to Spokane over the Memorial Day weekend and experience a once in a lifetime experience that is both educational and a heck of a lot of fun!